In 2016, the United Arab Emirates state-owned ports operator closed a landmark deal worth $442 million to develop and manage the strategically-located Berbera Port. 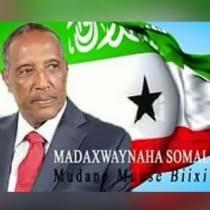 The company entered into this agreement with Somaliland, an autonomous but unrecognised breakaway region in the north of Somalia. The federal government in Mogadishu pushed back against the deal, seeing it as an infringement of its authority. In March, its national parliament voted to unanimously ban DP World. However, without the ability to actually enforce the ruling, the project is still set to go ahead. When it does, the development of this small port in in the Gulf of Aden could significantly shift dynamics not just in Somaliland or Somalia, but Ethiopia, Djibouti and the Horn of Africa region more broadly. The importance of the Berbera Port deal for Somaliland is clear. Given the republic’s lack of international recognition, it is cut off from international aid and relies heavily on remittances. The region has developed a relatively democratic and stable political system, but continues to suffer from several economic challenges such as high unemployment. With relatively few alternatives therefore, the Somaliland government hopes that the plan to modernise Berbera Port and create an economic free zone will bring many much-needed jobs. The port is already a crucial source of revenue and employment, but capacity would be hugely expanded with a new 400m quay and 250,000 m2 yard extension. This could turn the port into a key regional maritime trading hub and substantially boost government income through customs duties and its 30% stake in the project. It could be economically transformative. The political ramifications, however, are perhaps just as significant. This groundbreaking deal is going ahead despite desperate efforts from Somalia, which has invalidated the deal and lodged official complaints with the Arab League and African Union. Somalia’s foreign minister again urged DP World to “reconsider” last week. The fact that these attempts to sabotage the project have had little effect highlights Somalia’s lack of authority over its breakaway northern region. 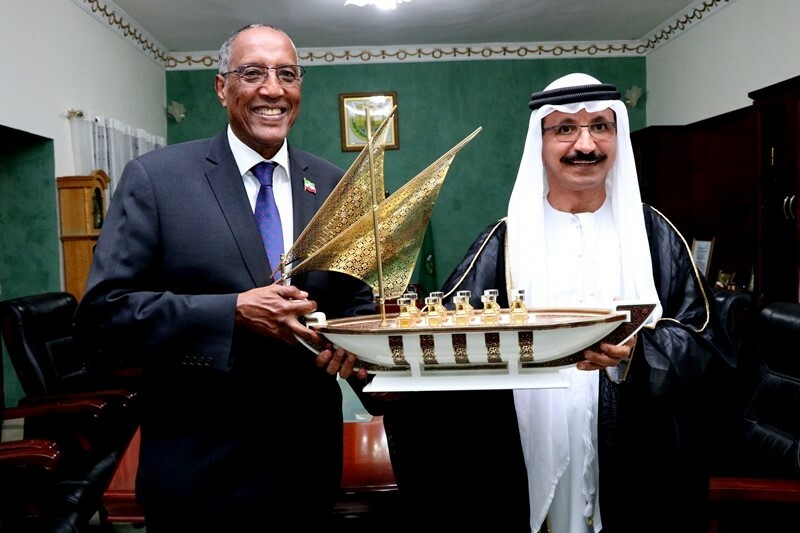 Somaliland’s President Muse Bihi Abdi has been trying to capitalise on this weakness by further strengthening relations with the UAE. He recently visited Abu Dhabi where it was announced that the Gulf nation would train Somiland forces as part of a separate deal to establish a military base in Berbera. In April, the UAE Ministry of Interior even added a category to its visa form to allow citizens to apply from “The Republic of Somaliland” rather than just Somalia. Not everyone in region is happy though. There are allegations that ruling officials accepted bribes to authorise the project. The opposition has complained of a lack of transparency around the deal. Meanwhile, others warn that rivalry over land ownership in the Berbera area could lead to disputes and grievances. Yet in concrete as well as symbolic ways, the Berbera port deal has firmly moved Somaliland one step closer to international recognition, a goal that has remained out of reach for the past 27 years. As well as altering relations between Somaliland and Somalia, the DP World deal could also have important repercussions for Ethiopia. On 1 March, it was announced that the regional hegemon had acquired a 19% stake in the project. As part of this deal, Ethiopia is required to construct the “Berbera Corridor”, a $300 million road linking the port to the capital Addis Ababa. Ethiopia’s close inclusion in the deal adds another country with which Somaliland is dealing with directly. With a population of over 100 million people, it also guarantees Berbera port a large and key commercial market. However, Ethiopia stands to benefit hugely from the port expansion too, economically and strategically, and has in fact been lobbying the rich UAE and other Gulf nations to invest in Berbera for years. This reason for this is that, at the moment, 95% of the land-locked country’s imports and exports flow through Djibouti. A modernised port in Somaliland would provide an alternative for Addis Ababa and loosen its heavy dependency on its small north-eastern neighbour. The Berbera corridor would also help Ethiopia open up its relatively underdeveloped eastern regions, particularly to the trade of livestock and agricultural goods. As a piece in The Conversation argues, the project also has potential geostrategic value to Addis in keeping Eritrea isolated and consolidating its own control over the region. As well as Mogadishu, the party with the most to lose from the DP World deal is Djibouti, which has come to rely on Ethiopia’s custom as much as Ethiopia relies on Djibouti’s access to the sea. Having profited hugely from this relationship over the years, Djibouti now stands to see hundreds of millions of dollars in customs revenue diverted once its near monopoly on routes in and out of Ethiopia comes to an end. Djibouti is clearly frustrated that the ever-expanding DP World is seeking to develop ports both in Djibouti and Somaliland. It had in fact already been quarrelling recently with the company, which was awarded a 50-year concession to run its Doraleh Container Terminal in 2006. In 2014, the government lodged claims that the UAE state-owned company had made illegal payments to secure the contract. This February, a London court dismissed the charges, prompting Djibouti to terminate the deal unilaterally in what the UAE called an “arbitrary” and “illegal” move. Scheduled to start construction this year, the Berbera port deal clearly has both its winners and losers. In an often unpredictable and adversarial region, this one development could see wide-ranging political and economic dynamics start to shift.